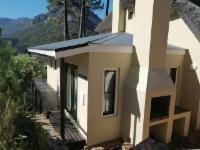 Silvermist is situated on the forested slopes of Constantia Nek, within the Table Mountain National Park (WHS). Our rustic and luxurious 60 acre estate is away from it all, yet just minutes from central Cape Town and its popular attractions and activities. Our Garden Suites are well-appointed, individually designed and decorated, fully serviced and positioned for superb mountain views. The Manor Suites are pure luxury, decorated with beautiful antiques, these spacious and relaxing suites form part the original Manor House at Silvermist. 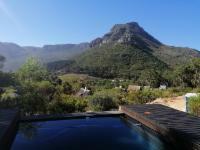 Perfect for the discerning traveller or honeymoon couple; they have large romantic bathrooms, fireplaces and patios with views across the Longkloof valley as far as the eyes can see. Wedding Venues: Silvermist Garden- A beautiful garden area is situated opposite the Hotel, perfect for a rustic and intimate Wedding Ceremony. Reserve the Five Garden Suites as Venue Free. Conference Venues: The Pool Room Venue - Recommended for Private Wine-Tastings, Cocktail Parties, Baby Showers, Product Launches, Team Building & Strategic Planning sessions. 50% to 100% Deposit required to secure booking, dependent on time of booking. Full prepayment or payment of outstanding balances for groups or FIT’s must be made directly to establishment prior to arrival. Payment for all non-commissionable services rendered (beverages, telephone, laundry, etc) must be received from the client/guest on... 50% to 100% Deposit required to secure booking, dependent on time of booking. Full prepayment or payment of outstanding balances for groups or FIT’s must be made directly to establishment prior to arrival. Check-in was easy, suite was beautiful and clean. Breakfast was absolutely devine. We stayed in Disa Lodge. The Lodge has a great view and Silvermist is well located. The lodge is a great size for a family of 5 with plenty of room and a well equipped kitchen. We had a lovely stay. The room was neat and clean, the hospitality was great. It was quiet and peaceful and everyday you wake up with spectacular views. We will definitely be staying there again! My boyfriend and i were looking for a sneaky escape from the hustle and bustle of Cape Town, without having to drive for hours to get out of the city. Silvermist gave us exactly that. Nestled snugly in the mountain, overlooking the most magnificent valleys and forests, we soon forgot that we were right outside of the city. The wood fire in the evenings, the private wooden deck around the cabin and the divinely luxurious bed provided the perfect setting for relaxation and tranquillity. The views are spectacular. The accommodation is spacious for 2 people and the verandah was well used as the weather turned warm just for our stay in the cottage. Silvermist Wine Estate is 9.7km from the centre of Cape Town , the nearest airport 22.2km (Cape Town International Airport).